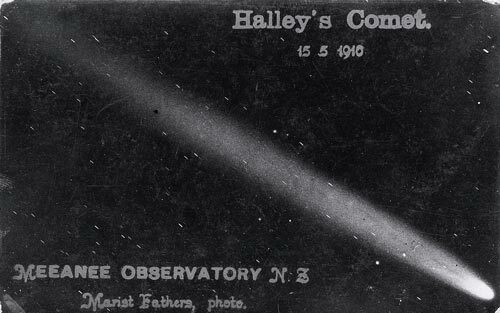 New Zealanders enjoyed a dramatic view of Halley’s Comet in 1910, when its tail stretched far across the night sky. Its next appearance, in 1986, was less memorable. I saw it when I was 9 and it was one of the best experiences of my life! There is no way it is coming to earth! I enjoyed the haleys comet 1986, I was 5 and my parents made sure I saw it! Big event! I wish I would be round to see the next one.